NEW PRODUCT – Mini DisplayPort to DisplayPort Cable – 10 ft/3 meters – White « Adafruit Industries – Makers, hackers, artists, designers and engineers! 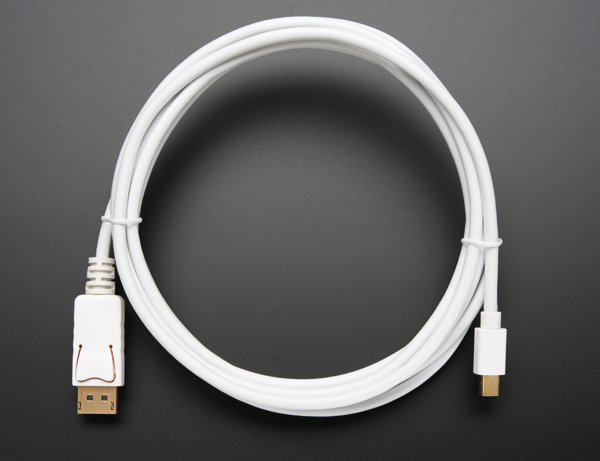 NEW PRODUCT – Mini DisplayPort to DisplayPort Cable – 10 ft/3 meters – White – Connect your DisplayPort and Mini DisplayPort sources and devices with this bi-directional cable! This cable has a standard sized DisplayPort (DP) connector on one end and a Mini DisplayPort (MDP) connector on the other. The cable is bi-directional, which means that you can use a DP source with a MDP monitor or a MDP source with a DP monitor. The conductors are made of pure copper and the connectors are gold-plated for improved connectivity and corrosion resistance. Additionally, it is well-shielded to prevent stray electromagnetic (EM) and radio frequency (RF) signals from interfering with your data. Important Note! 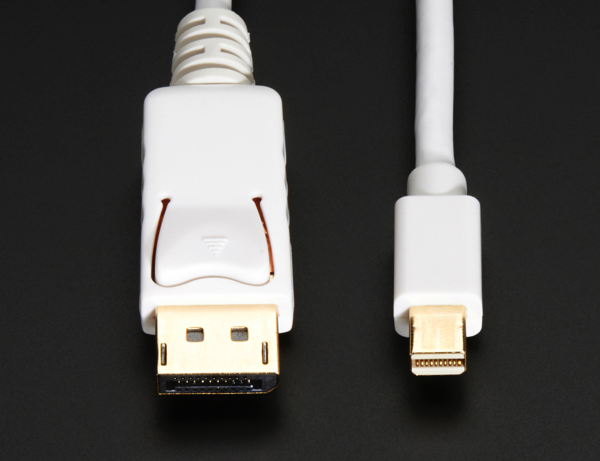 This cable supports the DisplayPort version 1.1, which does not support audio and has a maximum data transmission rate of 8.64 Gbps.